People looking for quick weight-loss solutions sometimes turn to herbal products, such as those containing aloe vera. Although these products may produce short-term weight loss, they aren't likely to result in permanent weight loss and may have a number of side effects, according to the Cleveland Clinic. Most studies on aloe vera and weight loss have used aloe vera gel or supplements rather than aloe vera juice, so it may not have the same effects. Speak with your doctor before taking aloe vera internally because it may not be safe for you. An animal study published in Obesity Research & Practice in December 2008 showed a potential for plant sterols found in aloe vera to improve body composition. In the study, obese rats given these plant sterols had lower levels of abdominal fat after 35 days than rats not given these sterols. This effect may also occur in people. A small preliminary study published in September 2013 in Nutrition found that obese people with diabetes or prediabetes who took an aloe vera gel complex for eight weeks lost more weight and body fat than those not given this supplement. Larger long-term studies are needed to verify these effects. Aloe vera may result in weight loss due to its laxative effect. Taking laxatives as a way to lose weight is a form of laxative misuse and can result in electrolyte imbalances that can cause numbness, weak muscles, seizures, irregular heartbeat, heart attacks and paralysis. Long-term laxative use can also interfere with your normal bowel function and cause incontinence or dependence on laxatives to have a bowel movement. Side effects from aloe juice are more likely if the juice is made with the whole leaves and contains aloe latex instead of just aloe gel. Taking aloe orally may cause diarrhea, abdominal cramps, low potassium levels, nausea and vomiting. People who are allergic to tulips, onions or garlic may experience allergic reactions to aloe as well. Pregnant women shouldn't consume aloe. Some reports suggest that long-term use of oral aloe may cause hepatitis or increase cancer risk, according to the American Cancer Society. Aloe juice may interact with some medications and may increase bleeding risk during surgery, notes the Memorial Sloan Kettering Cancer Center. It may also cause thyroid problems. 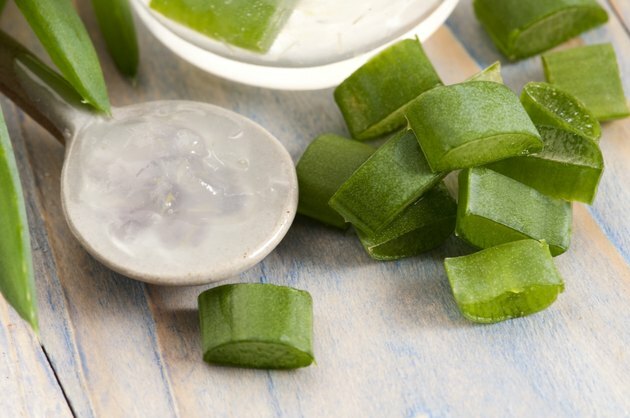 Because of the potential risks, the Center for Science in the Public Interest recommends avoiding oral aloe vera, even if it is in the form of juice. Aloe Vera Juice: Is it Safe to Take With Other Medications?